Madison Prespakis had already competed at three under-18 national championships, but there were a few more nerves when she lined up again this year. 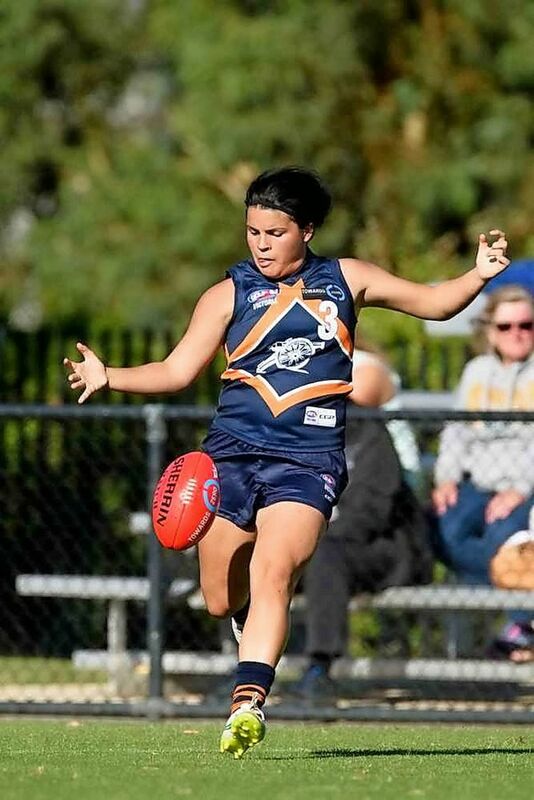 As a top-age player, Prespakis had much more than just playing for her state at stake – she was playing to put her name in front of AFLW recruiters. Prespakis shouldn’t have worried, she was again one of the standouts of the championships. She claimed dual honours of being named the overall and Vic Metro best player for a second successive year. Prespakis said she was emotional knowing that she was representing Vic Metro at under-18 level for the last time. “I felt a lot more pressure at the start,” Prespakis said. “Being the last one [championship] there was a lot of outside noise, so I unfollowed a few [social media] pages and concentrated on my game. On field, Prespakis showed her ball-winning ability and was able to hit the scoreboard. She said she was honoured to be named overall most valuable player. 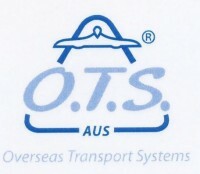 She shared the award with Vic Country’s Nine Morrison. “I felt like I was being heavily tagged,” Prespakis said. “I had to play my usual game and do what the coach wanted. The under-18 championships were part of a big year for the Sunbury Lions star. Prespakis captained the Calder Cannons under-18 team and was the run-away winner of their best and fairest award. She said the Cannons had played a huge part in her development. “It’s been a big part of my football the last four years,” she said. “It’s was another emotional ride, with lots of ups and downs. “I enjoyed helping the younger girls. It’s helped me become a better person and player. Among the younger girls at the Cannons, is Prespakis’ sister Georgie. 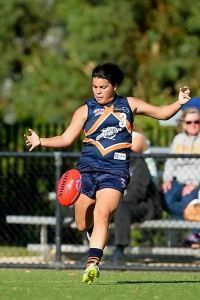 With a possible AFLW career on the horizon, Prespakis recently made her VFLW debut with Melbourne University, giving her a taste of playing against AFLW players. “I was very nervous for my first game,” she said. “The girls hit each other a bit harder and you can’t really compare the speed of the game to ours. As well as juggling VFL commitments, Prespakis will play in an under-18 all star game, with the All-Australian team to be selected from there. She’ll also be counting down the days to the draft and possibly realising a childhood dream. Prespakis said she spoke to former Cannons Monique Conti, Chloe Molloy and Sarah Dargan about what to expect from the draft. Come draft day, Prespakis just wants to hear her name. “Since I was a little girl I’ve always wanted to play AFL,” she said. “It’s only three months away from hopefully having my name called out.